Carmella Beatrice Pitrel DeCotis, 92, peacefully passed on Friday, April 5, 2019, at Southland Nursing Home in Peachtree City. Carmella, the daughter of Anthony and Madeline Cuccaro Pitrel, was born on March 24, 1927 in Utica, NY, where she was raised and received her education, graduating from TR Proctor High School in 1945. In Utica, on Feb. 4, 1950, Carmella married Alfonso Philip DeCotis, a loving union that lasted 66 years until Al’s passing in 2016. Together they raised their family in their Rutger St. home. When their sons were older, Carmella held office positions, first at Kernan Elementary School and later at the Smith Packing Co. In 2011, Carmella and Al moved to Fayetteville, GA, where they lived comfortably and close to family at the Heritage of Peachtree Assisted Living. Carmella was a very creative woman and gifted artist. Her beautiful watercolors were often displayed in Utica area art shows and are now found and treasured in her family’s homes. She also enjoyed sewing, quilting, and other crafts. Carmella loved cooking and was always busy in the kitchen making something delicious for her family. Carmella will be remembered for her wonderful sense of humor and her immense love for her family and friends. She will be missed terribly and remembered always. Surviving are her loving sons and daughters-in-law: Mark and Pamela (Carr) DeCotis, Melbourne, FL; John and Tina (Carzo) DeCotis, Fayetteville, GA; Paul and Luann (Saraceno) DeCotis, Malta, NY; and Matthew and Cindi (Cresswell) DeCotis, Niskayuna, NY. Her beloved grandchildren: Tracy and Ed Morgan, Melbourne, FL; Carrie and Eric Martin, Indialantic, FL; Casey DeCotis, Los Angeles, CA; Johanna and Cole Smith, Atlanta, GA; John Paul DeCotis, Atlanta, GA; Maria DeCotis and Jacopo Cattelan, NY, NY; Sara and Alex Soriano, Wayland, MA; Evan and Jessica DeCotis, Fairport, NY; Emma DeCotis, Boston, MA; and Amy DeCotis and Colin Madden, Schenectady, NY. Her precious great-grandchildren: Kaiden and Carter Morgan; Neven and Avery Martin; Julia Madden; Decio Smith; and Carson DeCotis. Her dear brother and sisters-in-law: Dominick and Theresa Pitrel, Utica, NY; Mary DeCotis, San Antonio, TX; in addition, 14 nieces and nephews, and other extended family. 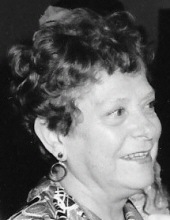 Along with her husband Alfonso, Carmella was predeceased by her two sisters and brothers-in-law: Rose and Enrico Dimeo; and Anne and Alfred Candido, Sr.; brothers-in-law and sister-in-law: Donald DeCotis; Edward and Maryann Perry; grandson: Daniel DeCotis; and nephews: David Dimeo and Tony Dimeo. A Mass of Christian Burial will be held on Saturday, April 27, 2019, at 11:30 AM at St. Mary of Mt. Carmel/Blessed Sacrament Church, 648 Jay St, Utica. Abiding by Carmella’s wishes, there will be no calling hours. Private entombment will be at Calvary Cemetery Mausoleum. Arrangements are entrusted to The Matt Funeral Home, 700 Rutger St., Utica, NY. In lieu of flowers, please consider donations in Carmella’s memory to St. Gabriel’s Catholic Church, 152 Antioch Rd., Fayetteville, GA 30215. The family would like to sincerely thank everyone who has helped Carmella in any way, especially, John and Tina DeCotis, who provided constant love, care, and comfort to both Carmella and Al for many years. To send flowers or a remembrance gift to the family of Carmella Beatrice DeCotis, please visit our Tribute Store. Guaranteed delivery before Carmella's funeral mass begins. "Email Address" would like to share the life celebration of Carmella Beatrice DeCotis. Click on the "link" to go to share a favorite memory or leave a condolence message for the family.